Profile Videos are a brand new feature of FV Player, released in the version 6.0.5.11. It allows registered members of a website to add Vimeo and YouTube hosted videos to their user profile and and show them as a part of their bios. The core function of this feature is the integration of the FV Player plugin with WP Bio field. If you go to your user profile in WordPress admin, you will see a Video section. You can add links from Vimeo or YouTube and write a title of each one. The image above shows how it looks with FV Player Pro license and active API keys for both services. When used with the free version of the FV Player, you will get only iframe embeds (see the picture below). You can activate the feature by checking the box Enable profile videos in Settings -> FV Player -> Integrations/Compatibility. We will be adding integration for more popular user profile plugins in the future. It will be announced on our blog. The main purpose of this feature is integrating it with third party membership plugins. 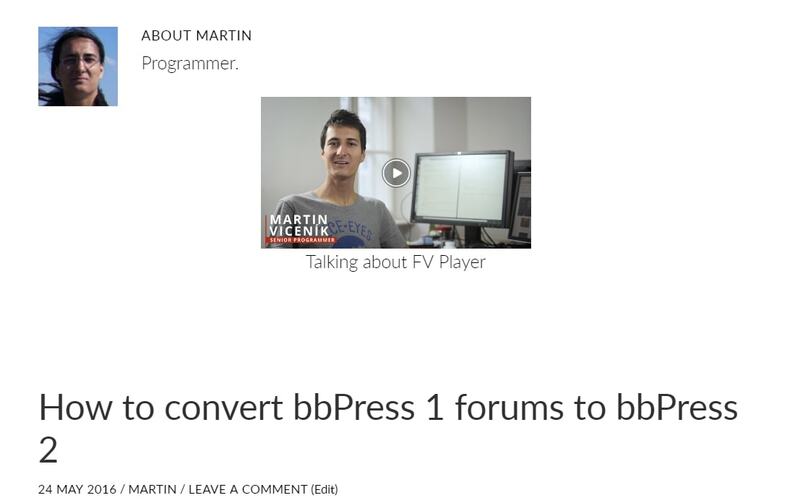 The first one that works with FV Player is Users Ultra Pro, with bbPress, BuddyPress and Profile Builder coming soon. Users Ultra Pro is a popular solution for sites that want to create a social media ecosystem for their members, that include Facebook-like wall, following other users, liking their content and other features. 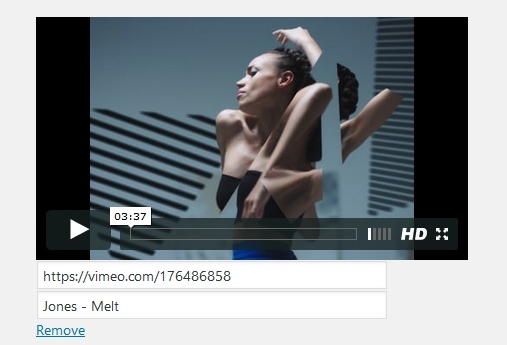 Adding Vimeo and YouTube videos is also one of the built-in features, but will only add above mentioned iframe embeds. The users can add these videos both to their profiles, or share them as posts. Adding FV Player Pro will therefore grant all the benefits of our player to these videos, including custom branding and logo. The integration is done automatically, no need to do any special tweaks.